The South County Bar and Cafe, Douglas, Cork. Live Irish Music Sessions 4 nights a week. The pub boasts some great features such as a cozy outdoor/beer garden with open fires and TV's, a private snug and great unique sections in the bar that can be reserved for that special party or any informal gathering. We serve good value lunches every day and evening meals Monday to Friday. We have a great selection of Irish whiskies from Midleton and new Irish craft beers.We are the only pub in Cork with Irish music sessions four nights a week throughout the year. We are situated in Douglas Village which is a busy shopping suburb located only three miles from Cork city centre. For visitors to the beautiful city of Cork, Douglas is en route to the Ringaskiddy car ferry and Cork airport. 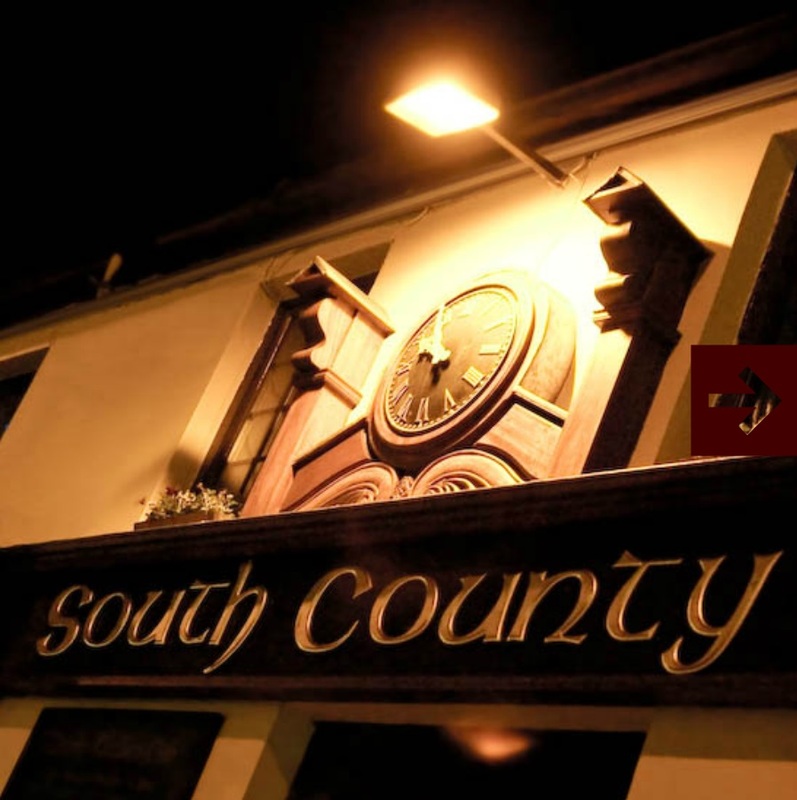 The South County is the ideal place to drop in for food, drinks, music and some friendly conversation. Our Menus & new Early Bird ! Check out our Lunch, Early Bird, Evening meal & Party menus - now serving food 7 days a week. Live trad sessions 4 nights a week. For 29 years, My Ireland Tours have been designing & operating the finest Irekand tours for all groups, interests and budgets. Click on the link to read more !